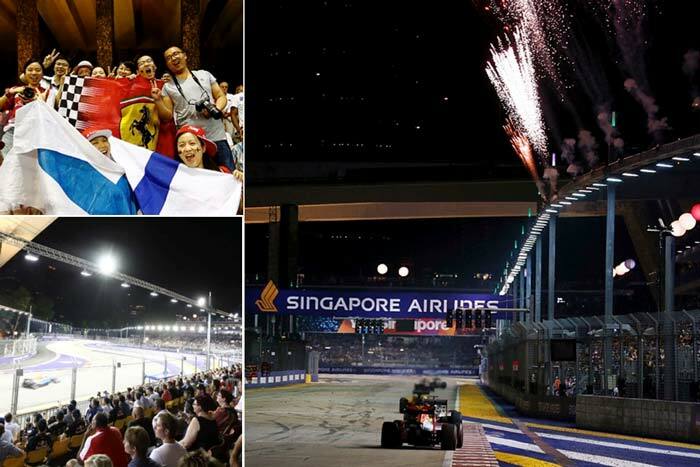 Singapore, 11 January 2017 - Race organiser Singapore GP has unveiled more ticketing specials for fans of the Formula 1® night race as part of the tenth anniversary celebrations. For the first time, fans can purchase single-day 2017 FORMULA 1 SINGAPORE AIRLINES SINGAPORE GRAND PRIX tickets for selected grandstands and the Premier Walkabout ticket category from 12 January, 9am. Offering a greater flexibility, these tickets allow fans to customise their experience over the race weekend at the Marina Bay Street Circuit. Fans can opt to purchase a Friday, Saturday or Sunday ticket for the Turn 1 Grandstand, Esplanade Waterfront Grandstand, Padang Grandstand or the Premier Walkabout, with tickets priced from S$128. Tickets are limited and each customer can purchase up to 12 tickets. The Single-Day Ticket Specials is in addition to a slew of new ticketing offerings, including a junior ticket category, a Super Pit ticket, three new Combinations (Pit, Padang and Stamford Combination) as well as the recently announced interest-free instalment plan for Grandstand and Combination ticket purchases. Details on the Zone 4 Single-day Walkabout tickets will be announced at a later date. Fans can also save up to 28% off regular ticket prices with the ongoing Early-Bird promotion, which is valid until 8 May 2017. Please refer to Annex 1 for ticket prices.